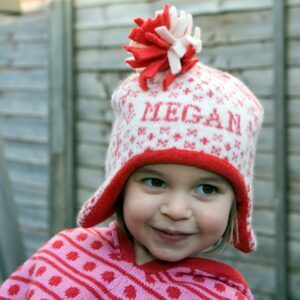 The cosy personalised Animals hat is knitted in felted wool/cotton, lined with soft fleece and has flaps to keep little ears warm. 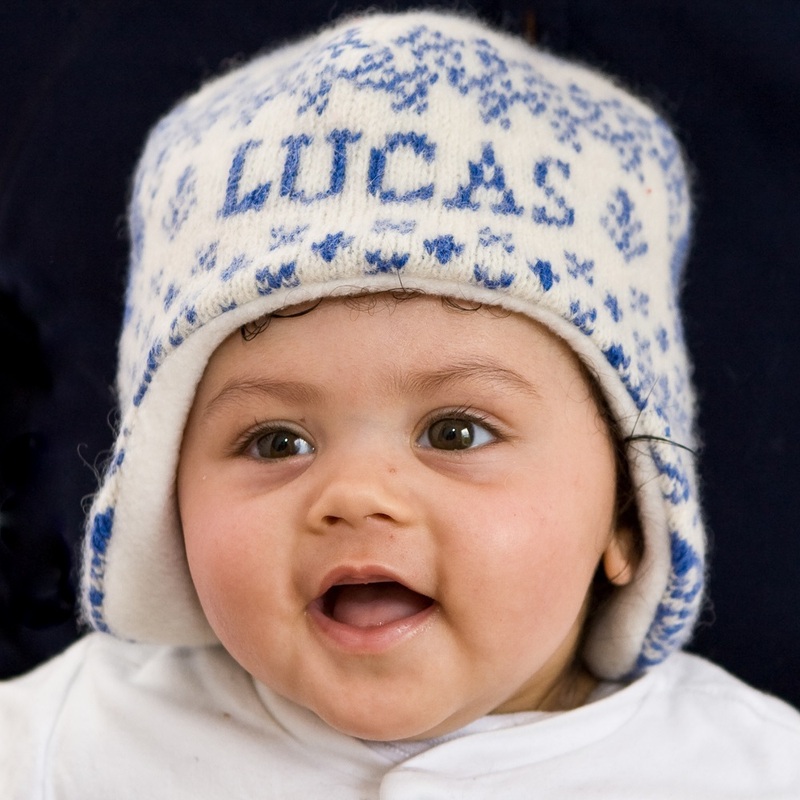 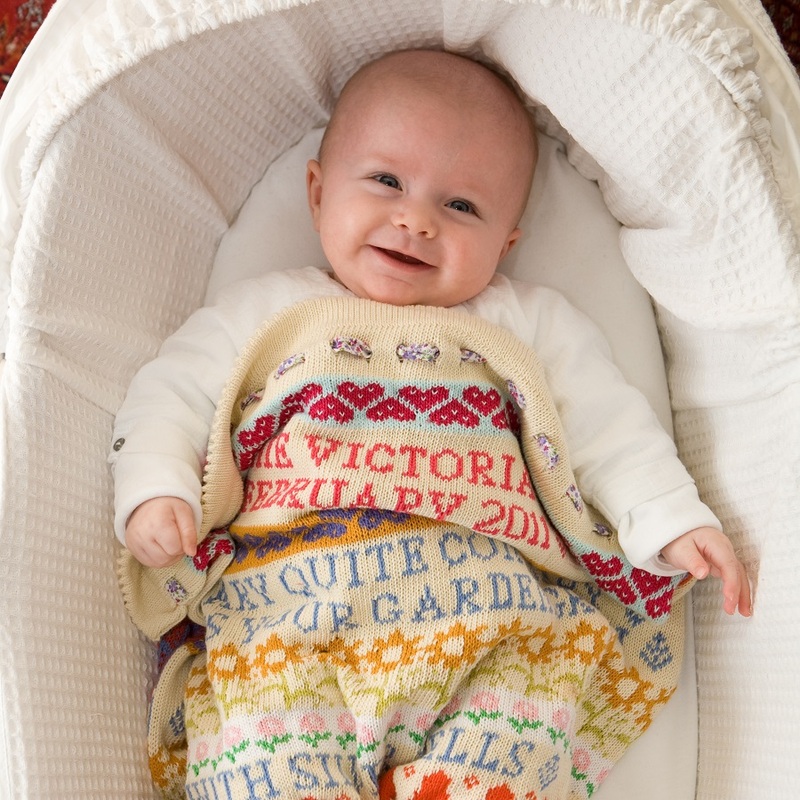 Each hat is individually made and personalised to order, with the name of your baby or child. 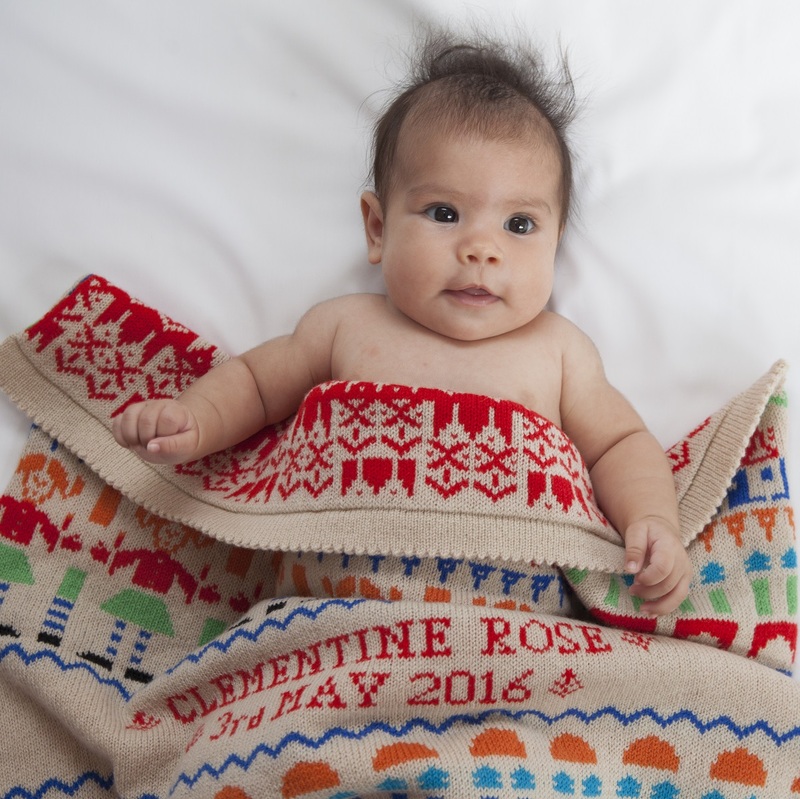 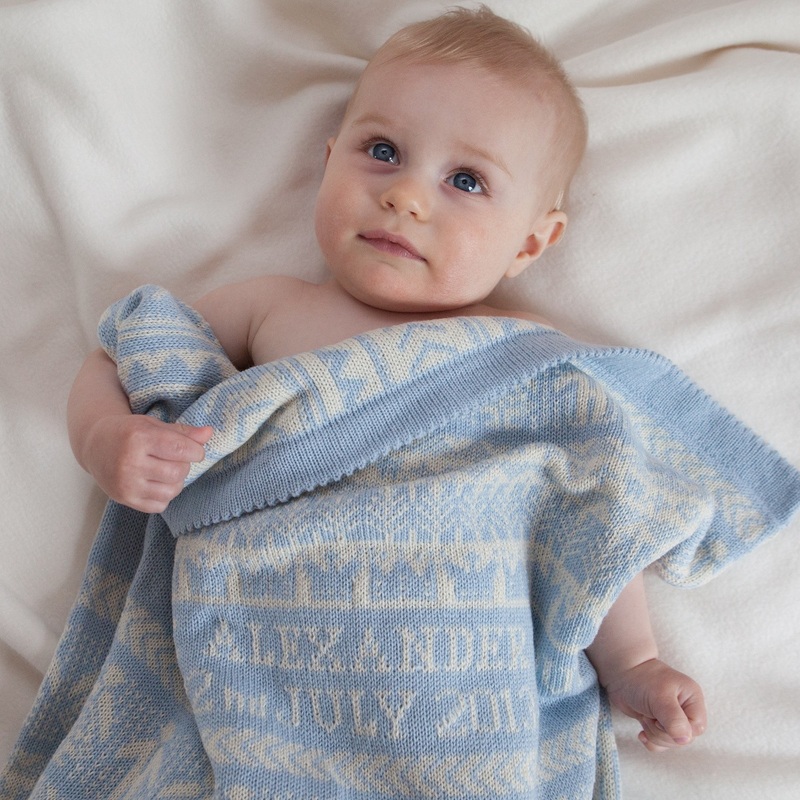 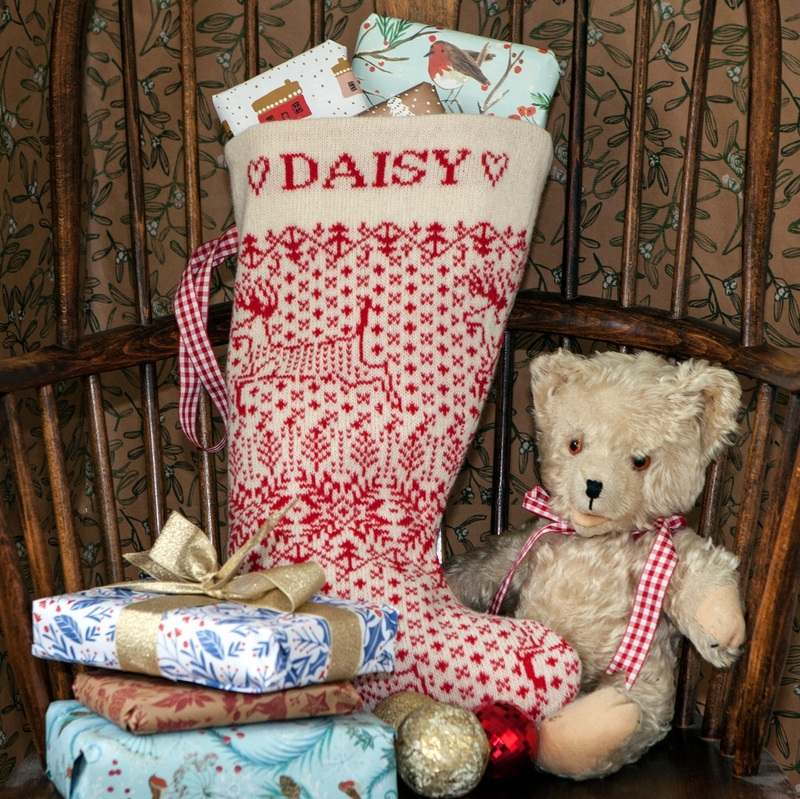 Inspired by the Animals & Flowers blanket, the mid-blue/cream colourway features rabbits. 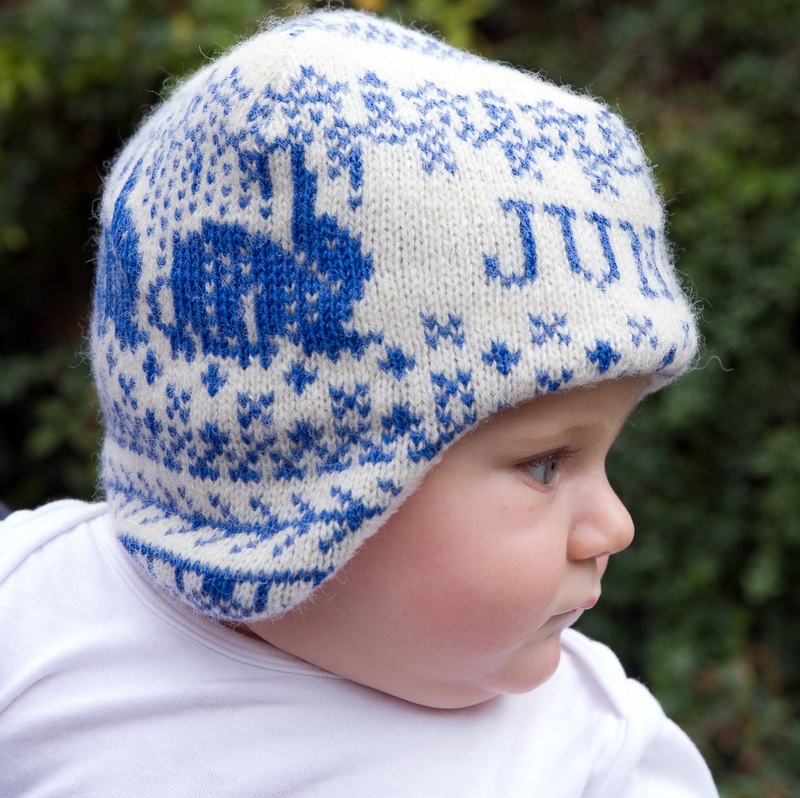 This soft and stretchy hat is available in four sizes: 3-6 months, 6-12 months, 12-24 months and 2-3 years. 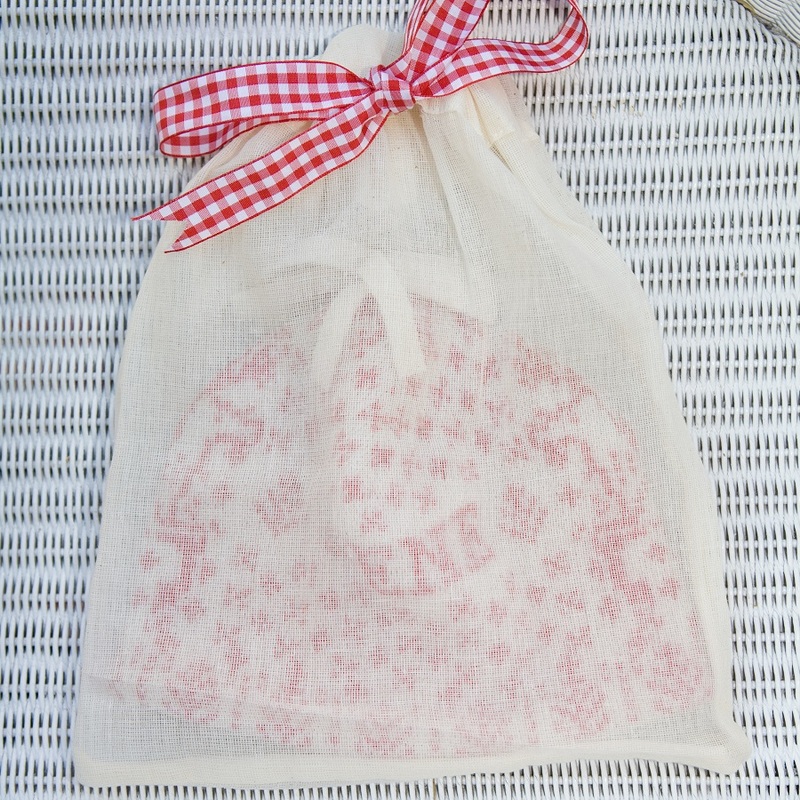 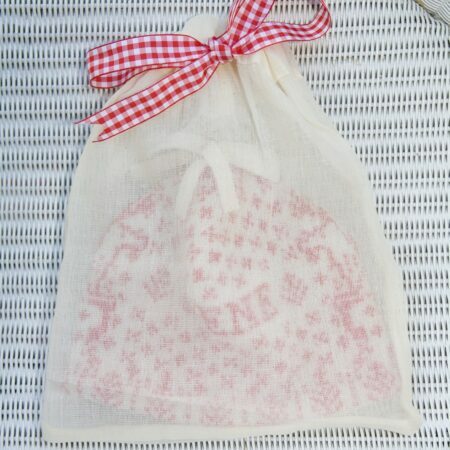 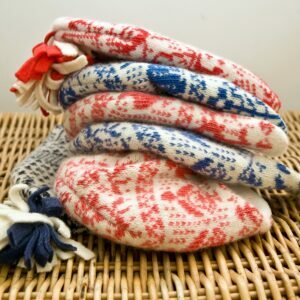 Your hat will arrived wrapped in a muslin bag, tied with gingham ribbon. 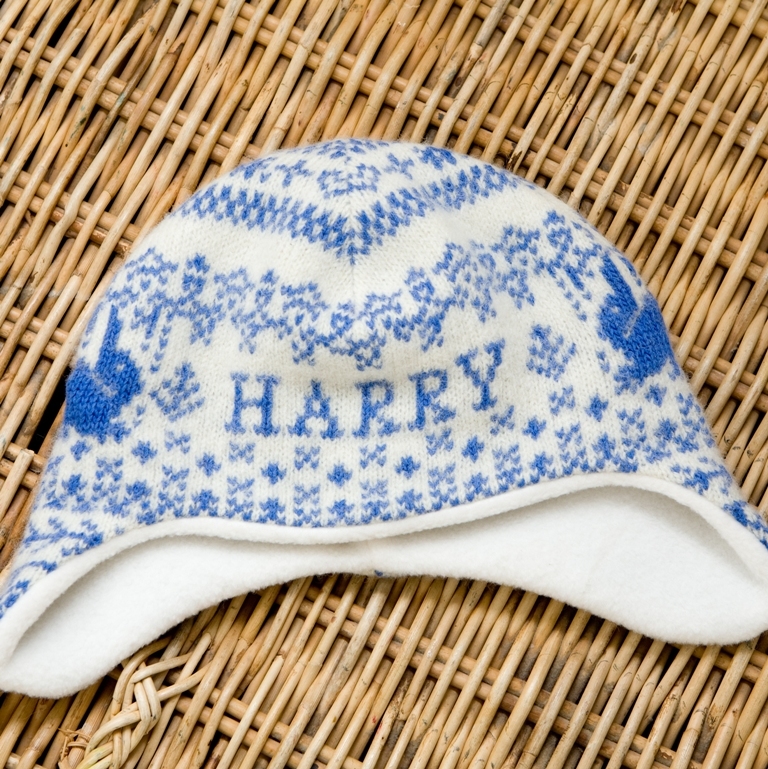 We can include a card with a message from you if you are sending your hat directly as a gift.